Shipping dates for Apple’s Watch have already been pushed back to June after the company began taking pre-orders early Friday. But you might be able to get one a tad sooner if you pay a premium. Dozens of listings for Apple’s expensive new toy are appearing on eBay, sold by people who claim they placed their orders early enough to secure late April and early May delivery dates. Some listings include images of the buyers’ confirmation page from Apple, noting the estimated ship dates. The most popular model seems to be the entry-level Apple Watch Sport with the plastic band, which Apple sells for $350 for the 38mm model and $400 for the 42mm model. On eBay, many of these models were listed at $600 or more. These listings will probably attract only the most ardent Apple fanboys and fangirls who simply must have the company’s latest gadget as soon as possible, but who for whatever reason were unable to get an earlier ship date. “Apple Watch will be shipped out as soon as it arrives to me,” wrote one eBay seller, whose confirmation page image shows a delivery date between May 13 and May 27. 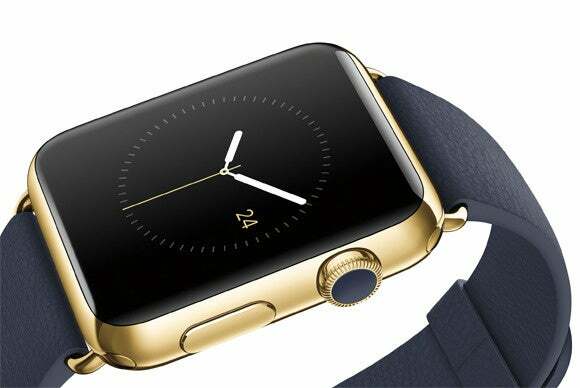 More expensive models, like the mid-level Apple Watch with steel and leather bands, were listed for well over $1,000. From Apple, these models start at $550. “Will ship to you on April 24!” reads a listing for a 42mm model with the steel Milanese loop style band. Price tag: $1,100. The seller of a 42mm model with a leather buckle—listed for $950—promised to change the delivery address on the order so that Apple ships it directly to the buyer. The expected delivery time frame for that item is between mid- and late-May. Some listings seemed to prey on others’ stupidity, or were posted by people who were not aware of the June delay ... or both. 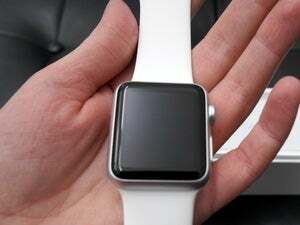 One seller vowed to place an order for the Apple Watch after his auction ends, and promised to ship the watch of the buyer’s choice on April 24. Meanwhile, in retail stores on Friday, shoppers still seemed to be making up their minds about whether it makes sense to buy an Apple Watch.